I have recently developed an unhealthy addition for melting things. Ever since I discovered the beauty of melted peppermint with my Peppermint Candy Bowls and Peppermint Spoons, I have been obsessed. I moved on to Jolly Ranchers with my Jolly Rancher Shot Glasses and now it is time for Valentine’s Day – I love these rainbow Jolly Rancher Lego! 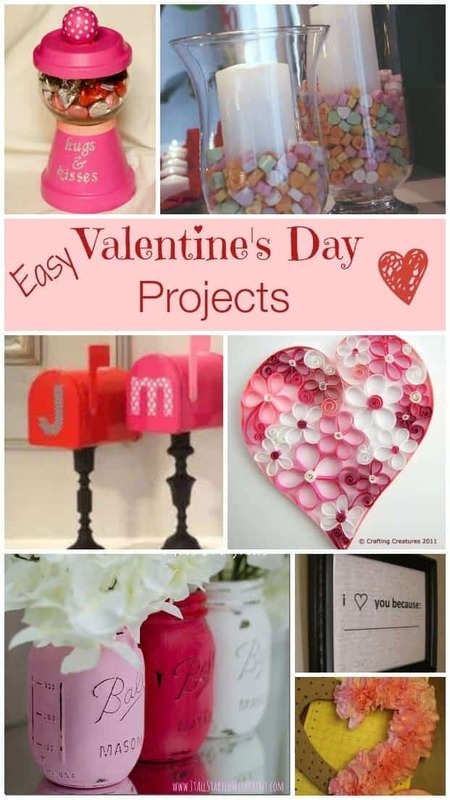 How fun are these to hand out on Valentine’s Day?? 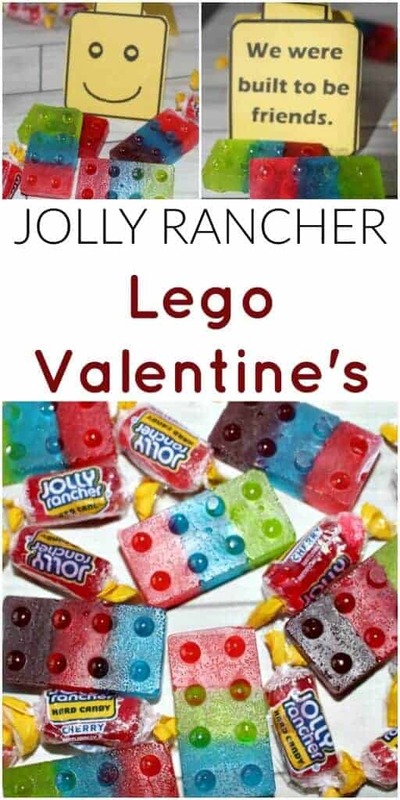 Pair these Jolly Rancher Legos with this super cute and great printable from JDaniel4’s Mom – you can find it here (click this link) – and you have your kids Valentine’s treats all ready to go!! Also – if you have a real Lego fanatic – check out these cute Lego Tables and Lego Party Ideas from my friend at Spaceships and Laser beams! 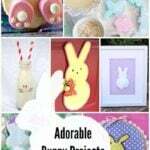 Here is how you make them! 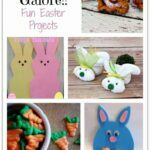 You will need a silicon lego mold – I found mine here (click this link) – Make sure it is silicon and not plastic so it can go in the oven. 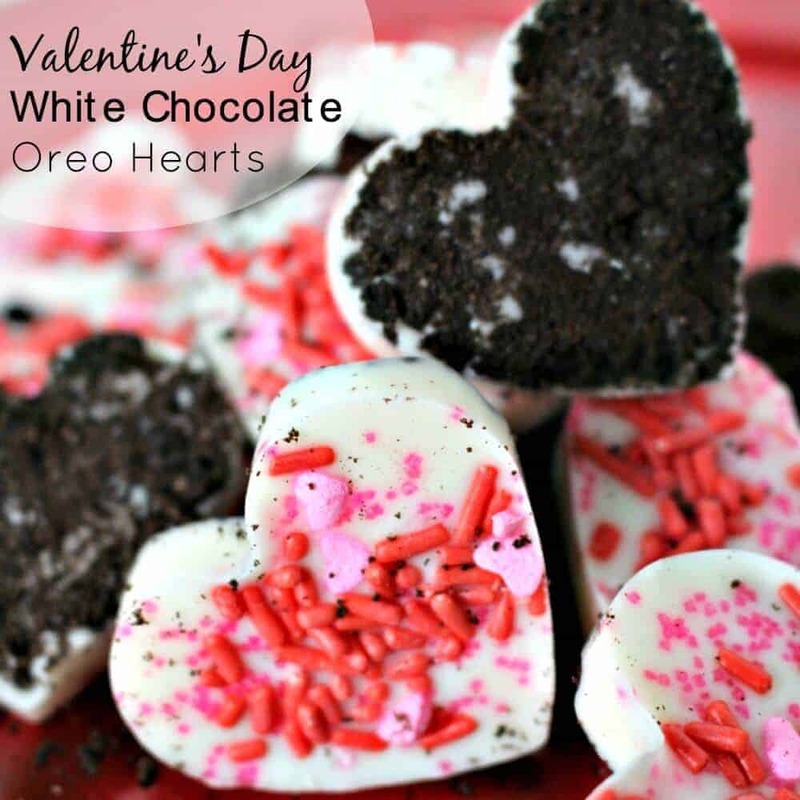 Place on a cookie tray and bake for 8-12 minutes. Every oven is different. You may need less or more time. You need to just watch them. You want them melted together, but you want to take them out before they start to bubble. If you get bubbles (and I did) you just want to press on the bubbles with a metal spoon and push them down. Once they are cool, if you pressed the bubbles down, you won’t see them at all. Let them cool completely and then remove from the mold. I love your treat bags! I am thrilled that you used my cards with them.